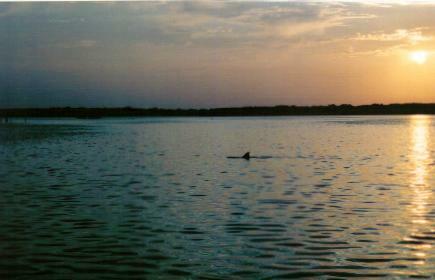 As dawn breaks a pair of dolphine are fishing themselves just beyond the boat. Ron works part time as a fishing guide. 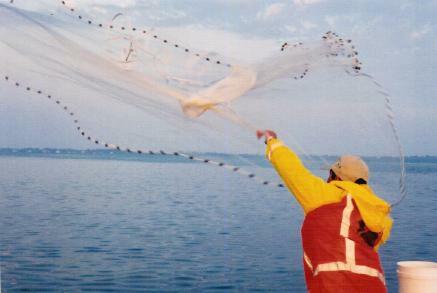 Here he throws the net to catch bait needed for the day. 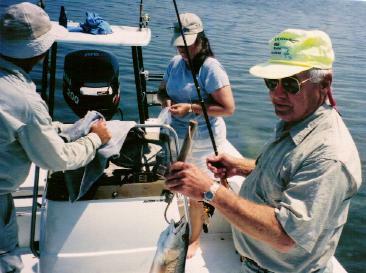 John, Ron and Bev with a sea trout, one of many that day. 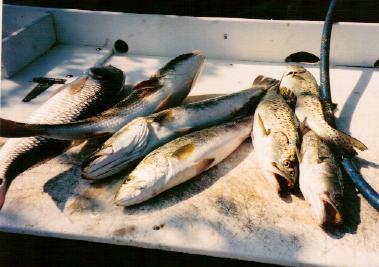 Snook and Red Fish also took the bait. I did not take pictures of these. Sea trout at the end of the day.Captain Ron cleans them. I wish everyone had a chance to fish the flats. Its exciting, and the scenery is breathtaking. 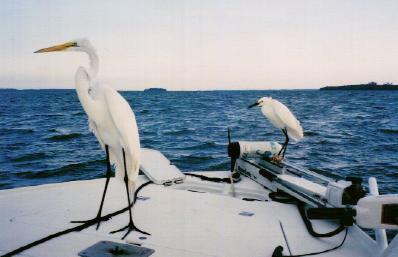 Birds to entertain us while waiting for the fish to bite. 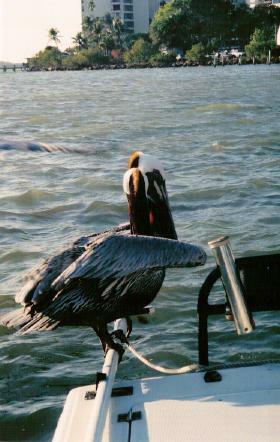 A greedy pelican hopes for a meal.